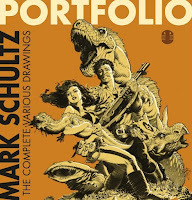 Portfolio: The Complete Various Drawings by Mark Schultz. Flesk Publications, 2015. 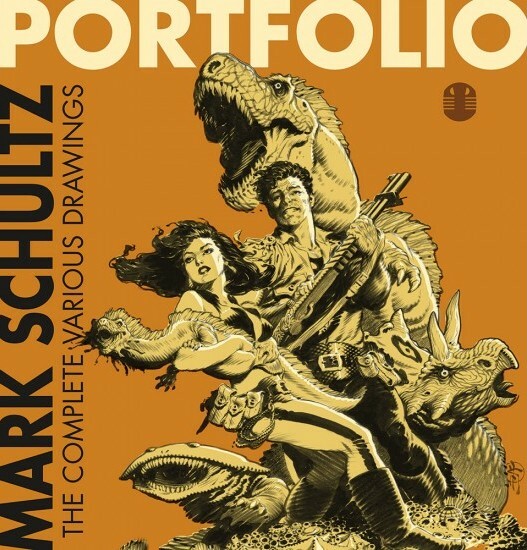 Measuring over 11" x 12", with the hardcover weighing in at over five pounds and the limited, slip cased hardcover over six, this book is sure to fix your thirst for Mark Schultz's exquisite artwork. The slip-cased limited hardcover is beautifully designed and bound. Even though I don't have the regular hardcover, I'm sure it is up to Flesk's usual production standards. The book starts out with introductions by Zander Cannon and Schultz and goes on to collect all five books in the artist's Various Drawings series of sketchbooks (the first four volumes are which are sold out from the publisher). I called these "sketchbooks" and that's probably wrong. While many of them can be classified as sketches and many of them are preliminaries for later finished works, the art in here offers completely fleshed out concepts and impeccable line work and shading even in the preliminary stages. There are also may finished and inked works, many of them private commissions. For fans of Schultz's Xenzoic Tales, there's lots of cover preliminaries of Hannah and Jack, plus lots of character studies, sketches, and finished art for Xenozoic projects both completed and unrealized. 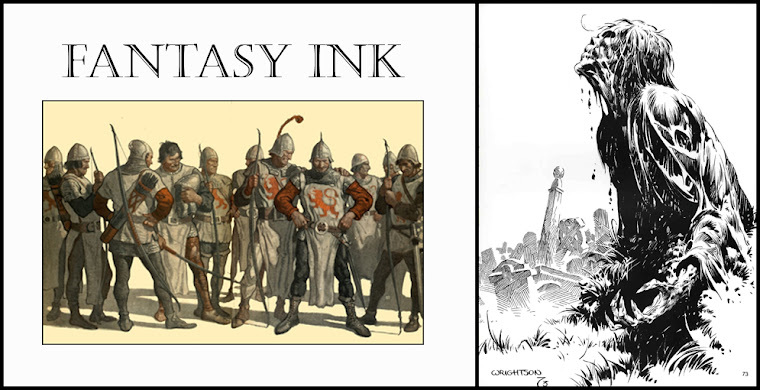 There's also plenty of work illustrating or inspired by the works of Robert E. Howard and Edgar Rice Burroughs. Schultz began his comic book career wearing his influences on his sleeve, most notably Wally Wood and Al Williamson's work for EC Comics' science-fiction novels, later on you could tell he'd been studying Franklin Booth and Alex Raymond. While there are still shadows of these artists and others in Schultz, he has gone to forge his style in the heroic and illustrative manner of his predecessors. The real revelation here is the artists' skill with the pencil. The subtle shadings and tones and tones which layers of depth to a fog shrouded swamp highlight his mastery of the medium. If anyone was a fan of Xenozoic Tales and wonders what Schultz has been up to lately, this book will more than answer the question. If you're fan of bravura illustration in the classic masters and pulp styles, this book will appeal to you also. Both the limited slip cased hardcover and the regular hardcover are available direct from the publisher. The first two volumes in his new "sketchbook" series are also available, Carbon and Carbon 2. Below are some more pictures of the limited hardcover.